All dogs in our daycare program are special and the team at NBK9 holds the safety of each individual dog at the highest importance. This is why we offer a specialized doggy daycare program here in the Northern Kentucky and Greater Cincinnati area, constructed to fit every dog’s needs whether they’re a big mastiff or a small toy poodle. Placing each doggy daycare member in the proper playgroup is an art form. At NBK9 we take into consideration these important factors: size of the dog, age of the dog, and the dog’s energy level and personality. While you may be thinking that placing dogs in a playgroup based on these factors is common sense, there are other facilities in existence in our area that do not take these things into consideration. Not taking these factors to mind is a recipe for disaster. A smaller dog could get accidentally injured during play with a bigger dog or even worse things could happen and a bigger dog’s prey drive may kick in leading to a very scary and dangerous situation. This is why we have a specialized doggie daycare group at NBK9 that caters solely to the needs of small breed dogs. When choosing the perfect facility to send your pooch off to dog daycare it’s important to ask important questions such as, “How do you determine your playgroups?” Not all daycare programs are created equally. 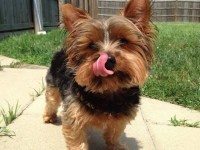 Even if the facility has a small dog program, that doesn’t always mean that the playgroup was put together in a manner that considers each dog’s play style, personality, and demeanor.. In most cases, facilities will just place ALL small dogs into a group together. At NBK9, we take the same precautions in constructing our small dog daycare as we do with all of our other playgroups. This is why we require that every dog interested in our daycare program to complete a test run before being accepted into the program. This ensures that the dog has a stress-free and fun time while at our facility and that our doggie daycare program is the right choice for each individual dog. Be weary of facilities that will just put all dogs into the same playgroup. Choosing the perfect daycare doggy program should be just as much about your dog’s needs as it is your needs. Just because something is convenient may not necessarily mean that it holds your dog’s best interest in mind. Daycare should be enriching and fun, not emotionally tiring and stressful.